UNOW’s vision is to unite people across cultural, denominational, and social lines to seek God for revival and to fulfill the Great Commission. United Night of Worship (UNOW) is an apostolic worship movement that empowers people to host citywide, statewide, and region-wide nights of worship. The purpose of these strategic gatherings is to unite people to seek God for transformation and to preach the Gospel through worship, prayer, acts of compassion, and evangelism. UNOW's meetings are marked with the power of God and mass salvations, and are attended by thousands each year. 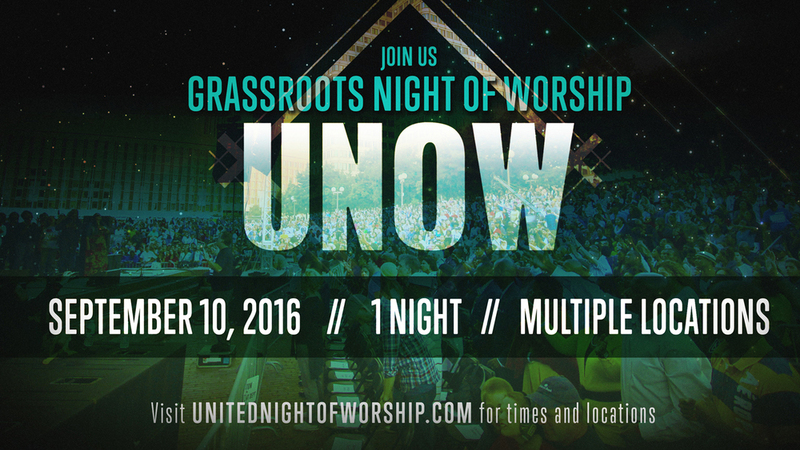 UNOW’s mission is to empower worship leaders and pastors to host grassroots and united worship rallies in their local communities that would stir up true desperation for God and reconcile people back to God and one another.